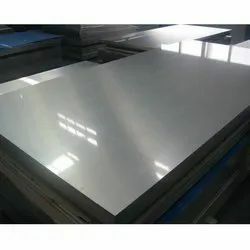 We are into AA business of fabricating and supplying HIGH grade steel sheets to our clients worldwide, we offer Magnetic Stainless Steel Sheets Sheets that are typically used for elevated temperature applications. This is an austenitic heat resisting alloy with excellent resistance to oxidation under mildly cyclic conditions to 2100º F. Its high chromium and nickel contents provide comparable corrosion resistance, superior resistance to oxidation and the retention of a larger fraction of room temperature strength. 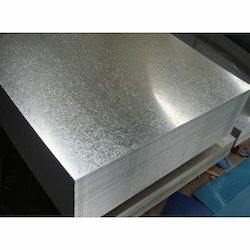 We hold expertise in designing and developing Galvanized Sheet. These offered products are developed by making use of supreme quality required basic material, procured from the accredited vendors of the industry. Moreover, we develop these sheets in accordance with the defined parameters of the industry so as to meet expectations of the clients. 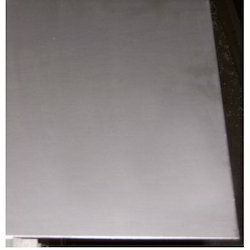 Alloy 20 Sheets is one of the so-called "Super" stainless steels that was designed for maximum resistance to acid attack. It's nickel, chromium, molybdenum and copper content contribute to its overall resistance to chloride stress corrosion cracking and general pitting attack. The alloy is stabilized with columbium to minimize carbide precipitation during welding. It has good mechanical properties and can be fabricated with comparative ease. Although the alloy was designed for use in sulfuric acid related industries, it finds wide usage throughout the chemical processing industry. It also is used for processing pharmaceuticals, food, gasoline, solvents, plastics, explosives, synthetic fibers and many other products. We are listed at the apex amongst the predominant Galvanized Steel Sheet Suppliers in India. The unmatched quality and unsurpassable performance has made the Galvanized Steel Products i.e. 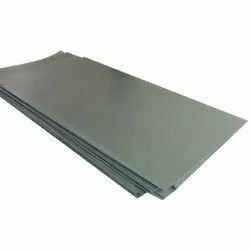 Galvanized Steel Plain & Corrugated Sheets, Galvanized Steel Plate and Galvanized Steel Coil ideal for various industrial applications. 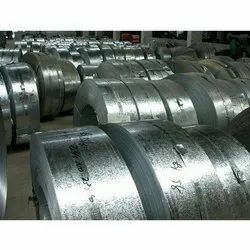 Additionally, the vendors use optimum quality materials in the manufacturing of the Galvanized Steel Metal Sheet, Coils & Plates ensuring high durability, tensile strength and resistivity to adverse conditions.